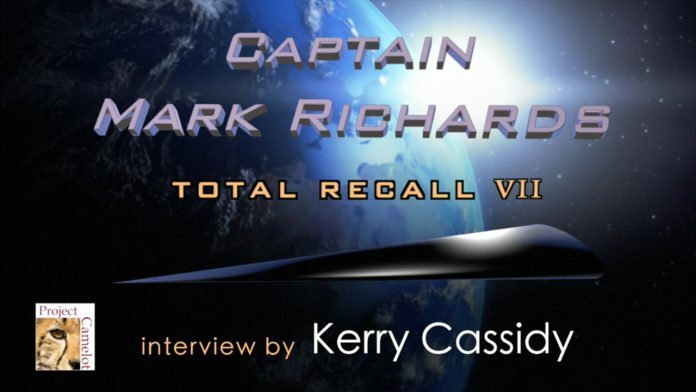 This is my seventh interview with Captain MARK RICHARDS the publishing of this 'total recall' has been delayed due to traveling. Conducted August 2017, published September 20, 2017. I was not allowed a pencil or pen this time... I was just given childrens crayons to take notes which made it hard however I persevered and got fairly detailed notes which are posted below. After Vietnam he went from being a Lieutenant in the Army to being a Lieutenant in the Navy.... a lateral move. After Vietnam lots of men were being shipped out of the Army who then had no use for them. Many moved to Navy. The Air Force had no need a Mark's services after the war because he was a helicopter pilot in Vietnam and they had plenty of pilots back then (after the end of the war). Mark feels he would definitely be warned by his Raptor friends (who are quite telepathic -- as is Mark --see interview 6 for more on this) if anything were impending of a monumental nature. He thinks there is more of a threat from "nutcase" humans than from Earth changes. He thinks government are also worried about this. Thinks Trump is danger. He is viewed even by the Head of the Joint Chiefs as a loose cannon. Even maniacal. Thinks he has never been fully accepted by the Illuminati. Trump is a real wild card. No one knows what he will do. Says he's a lot like Teddy Roosevelt. Hopes that in time, if he survives, he will do positive things and be remembered like Teddy, after the fact as a great president. Says that Trump could surprise people and leave a good legacy in spite of his bad reputation. Mark is aware there is a group behind Trump making things possible...but so far no mention of who those people are. Says Bush risked everything to get Noriega out of power. Noriega was threatening to reveal ET presence. He says Panama is nothing without Columbia. Says never considers Greys "friendly". He says they work for the highest bidder. One example is the Zeta's -- not to be trusted. There are other races. He thinks there are a lot of cloned Greys... used by various ETs and used to perform jobs etc. MINERVA: Doesn't like crew besides Mark so it would generally only be Mark and one other person. But she does take groups of zoo animals on board for study. She can morph her interior to make room for hundreds of animals. She acts as his translator with other races when traveling together. FURTHEST HE HAS GONE interstellar was with companion called "GLASSY" .. out around Alpha Centari. 3 Stars of Alpha Centari... met around 20 different species. Says there are 4 different Ant colonies in the Orion constellation. MINERVA is very protective and often won't let him leave the ship due to dangerous conditions. Treats humans a little like pets or children. RAPTOR SHIPS -- VERY ELEGANT... :"MOONRAKER"
The Raptors have a very elegant stramlined craft (see banner design). Mark drew one... Long pointed elongated triangle like with scooped back end. Called TOP INTERCEPTOR high speed attack craft called MOONRAKER. Created in part by Vortexes... Vortexes plus water. There's a huge system of tunnels in Vietnam and surrounding countries. The Viet Cong were using them. You could fly a helicopter inside some of the tunnels. The Viet Cong leaders worked with the Spider leadership. Used mind control to keep Viet Cong troops from realizing who they were working with... They used a gas to make them forget so most of the troops wouldn't remember anything to do with spider beings. He thinks some soldiers will remember. I talked about one soldier's recall from my show on Vietnam and the Spider Beings and bodies being piled up into triangles stacked high. The electronic fence used for the first time in Vietnam was not for the purpose generally thought regarding tracking Viet Cong movements along the Ho Chi Min Trail. He said it's use actually related to the Spider beings. Even today, towns are put to sleep for as long as 48 hours. This happened to the recent islands -- where a very bad group of aliens came through a portal suddenly and started eating people ... off beaches on the Barrier islands area. Whole area had to be evacuated under false pretenses so the military could deal with them. Found they were unable to handle the situation because it required that they not create any collateral damage.. So couldn't use a nuke (which is the tactic they often use to shut wormholes). Our military enlisted help of the Raptors to use their high tech weapons that can target individuals and kill the intruders. Because our technology was not sophisticated enough to avoid collateral damage. (This has changed now). The intruders were a sub species of another species that we don't know well. Situation was handled. He would not share which type of aliens these were...except to say they were a subgroup of another group. It is interesting that the military is happy to appear rabidly violent or crazy simply because they refuse to share the truth of what's really going on with the rest of humanity. Mark believes the only reason we still have control of our planet is because our military has told the various invader ET enemy races that if they try to take control we will nuke our own planet before we let them take control. If we can't have it no one can is the philosophy of our military in the secret space program. Re Question about whether he think he chose the path he is on....Does he consider himself a victim of circumstances? He says he doesn't think he chose his path but he did make some decisions given the climate of the times that led him down this road. Says he was fighting the powers-that-be but it was not his choice to land in jail for over 30 years. Says back in '81-'82 he was pushing the envelope. Uncontrollable and highly arrogant. Says powers-that-be basically afraid of him in part because of his friendship and alliance with the Raptors. He questioned authority too much especially after the death of TATANIA. (Woman he loved). He's seen via Raptor machine tech (that they "borrowed" from other races) the true history of Earth and his own reincarnational history. They can see the past of Earth and of anyone they choose... They choose not to see the future unless mandatory for safety. Goes against their sense of ethics / right and wrong to see the future. They can read timelines and natural events through energies. Raptors relate to Anunnaki the same way they relate to humans... see us and Anunnaki as the same. He said the Raptor relationship to the Anunnaki has changed over time. Loves Englands "Jurassic Coast" and considers that area home. REPTOIDS -- are superb geneticists and would work to create a more human looking body. Reptoids are more like DR. SPOCK. DRACO -- consider themselves superior to all. They are still involved here on Earth and are in your face dominating. DRAGONS OF MIDDLE AGES -- battles were with both Dracos and Raptors. CMEs THREAT? (Coronal Mass Ejections from the Sun) : He says he doesn't think we have the equipment to redirect them away from Earth. He says various ET races may have but that a major CME hitting the Earth would happen too fast to counteract. Says yes there are a few cities underground for select people but doesn't think they would be much help in protecting even those people if a CME should hit us head-on. Says we could be destroyed by a CME. Underground cities only good for a million but not billions. They have to have a back up plan for any contingency. He acknowledged our bases on Moon, Mars, moons of Jupiter and Saturn could be back up plans if they had enough advance notice to prepare. Supernovas are a big threat. You have to travel faster than light to avoid. Regardless how deep a base is they couldn't escape the effects. First asked if he thinks he's a clone? Mark has not been cloned (to his knowledge. He gets tested many times, his DNA and blood etc. He also says he doesn't think he has been cloned. State of? Doesn't think cloning is as far along as claimed. Regarding government officials now cloned?- it’s possible but clones don’t last long… and can’t transfer all the memories from a persons life to a clone. There are too many nuances missing... so they are pretty dumb. Doesn’t think most world leaders are cloned. He says there are Dyson spheres all over the place in and outside our solar system. Doesn't think there is one between us and the sun but says there is one in our ORT CLOUD. He says there are a lot of civilizations in our ORT cloud that we are aware of and need to be aware of. Some are causing trouble out there. Viewer question about "solar illuminator" in place between Earth and the Sun? (Mark is not familiar with this term but says no). TABBY'S WORLD is a Dyson sphere we have been watching for hundreds of years. Only reason they are so aggressive is they are backed by an alien group that are powerful enemies of the U.S. There is a definite group of off-world beings backing up North Korea. Declined to say which group. (Doesn't sound like it is the Reptoids). Asked about North Korean nuclear tests and earthquake weapons but he didn't really answer me. So I said in essence are we already in a war with North Korea and the beings backing them and he smiled but didn't say anything but I got the impression this is the case. So the talk about "tests" is a war ...and bombings or back-off type standoffs. The Cuban Missile Crisis...WAS NOT ABOUT A RUSSIA /US STANDOFF TO DO WITH MISSILES. 3 Nukes went off in outer space related to this incident. 1966-1970 -- Mark was participating in tests and doing remote viewing at Letterman.